First came the confusion. Then the delight. Then the surprise. THE SURPRISE: Only about four months after the first album comes Peña Volume 2. Having been involved in recording projects, I know how much work goes into producing a CD. To do two so quickly? Impressive. And the second disk is just as engaging as the first. Wong says the intention all along was to have two CDs of selections from the 50+ songs recorded in Peru, and that they were released separately so that "each track is likely to get a bit more attention from people once they dive into both volumes." Have a listen to the opening track, featuring Sofia Rei Koutsovitis on vocals, Eric Kurimski on guitar, Jorge Roeder on bass, and Jorge "Coqui" Oerez-Albela on percussion. 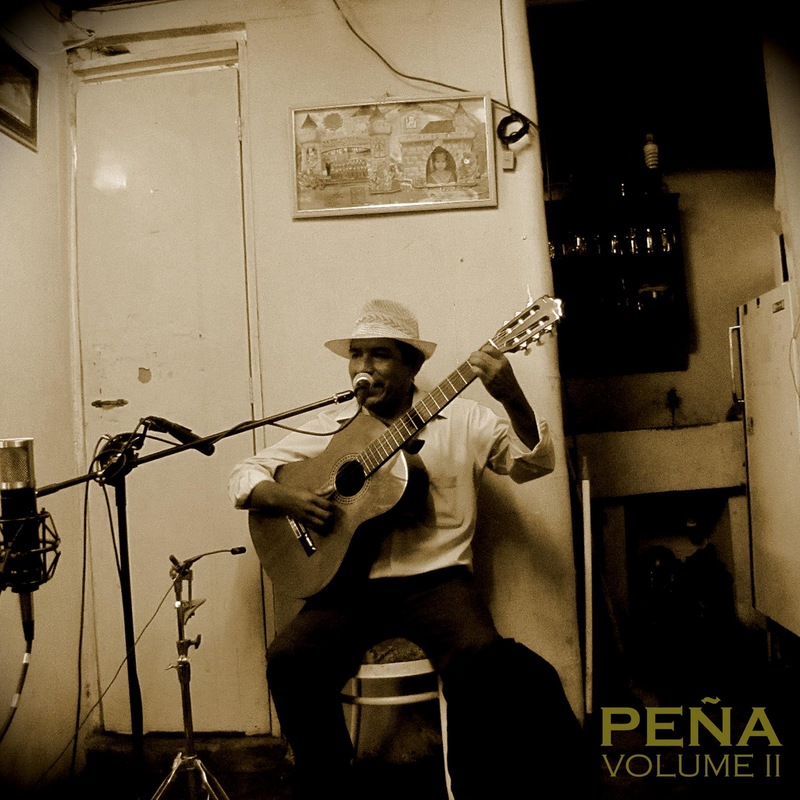 from the album Peña Volume 2. By the way, Secret Stash is also releasing the compilation Peruvian Funk, which sounds outta sight (samples here). Wow, a really nice Latin sound.